Get Paid to Eat Gluten! 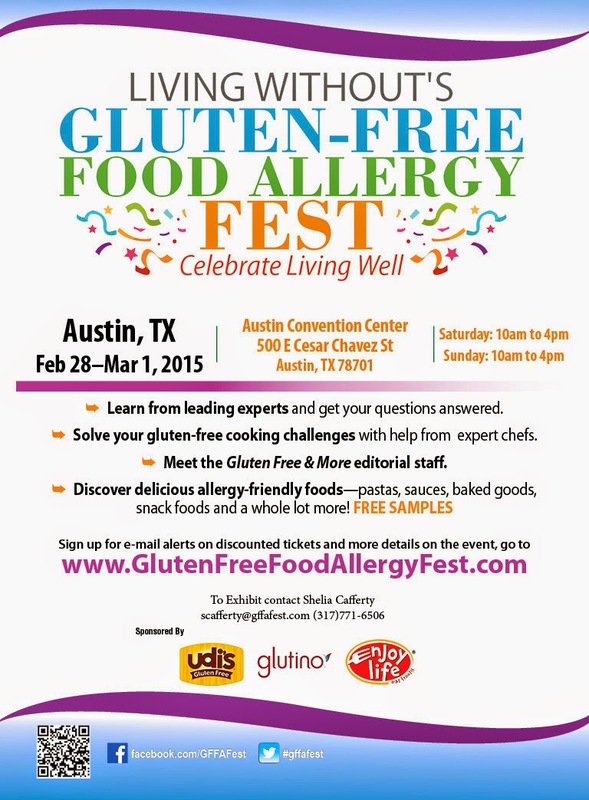 I am so excited to announce that I am speaking at Living Without's Gluten-Free Food Allergy Fest in Austin, Texas on February 28 and March 1st. This will be my first time in Texas and I cannot wait to see what the Lone Star State has in store for me. Wake up early and join me on Saturday and Sunday mornings at 10:15 am for the first sessions of the day where I will share my Gluten-Free Globetrotter tips all about gluten-free travel. More details are coming soon including a giveaway for two tickets to this Austin event. If you can't wait to win, tickets are on sale now. See you in Texas, y'all!